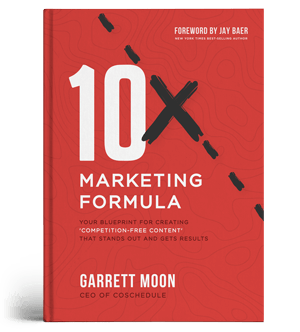 I’ve been writing and publishing digital marketing content for 10 years now. There’s no way to measure the return of investment of all that immense effort. Shouldn’t there be a way to get more out of it? As someone who has been contributing content online for ages, I’ve always been on the lookout for more ways to monetize that effort. 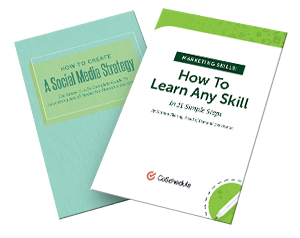 Consolidating old content into an online course is a perfect idea. You can turn it into an extra source of income and you can also use it to further promote your brand. Here is a step-by-step guide into re-packaging your old content into a new video course. Let's make it straight: This guide is for individuals and businesses that have been producing online content for a while, and not just on their own sites but outside of them too (through expert columns on popular niche outlets and guest blogging). That being said, the first step is to look back and find those content assets you can re-use now. ["author name * company name"] - this search is useful for those guest authors who slightly vary their byline wording but always make sure their name and your company name will make it to the bio. Now, use this Greasemonkey script to extract URLs from search results and easily copy-paste them to add to your search engine using the include-in-bulk option. Then copy-paste the whole list into a new Google Custom search. The beauty of this tool is that you can also add your whole site there for its content to be searchable in your database of brand-focused content. While proceeding with both the steps, look for popular topics you and/or your company authors tend to cover more frequently than others. Take notes of those topics: That's how you are going to brainstorm topics for your future course and its structure. Look for topics that have been covered in much depth in at least 10 articles by you and/or your team. These articles are going to make your course chapters and content is going to be your video scripts, so it's important that you have blogged a lot on them to make your course creation easier. Creating a course is quite a commitment: You want to make sure there's a demand for more information on the chosen topic and you need to brainstorm your competitive advantage: What is it you are building that will allow you to stand out in the crowd? Both metrics allow me to finally make an educated choice of the core term to build my course around. Once I am done with choosing my actual final keyword, I use Serpstat's unique clustering feature to break my long keyword list into groups of related queries. This gives a good mind-map of my future course topic and allows to come up with the course structure. Keep referring to your spreadsheet of chosen content assets to fill your spreadsheet with content you can use in each chapter. Tip: While creating your course structure, you'll discover some "gaps", i.e. sections that need to be included into your course which were not covered by you or your writers previously. These are great to add to your blog editorial calendar. This way your video course also helps you brainstorm content for your blog. Thus those new sections you'll be working on can be re-used as text content too! That being said, re-packaging goes both ways in this case: You use your existing content to create a course and you use your future course structure to create more content for your brand too! It's also a good idea to turn to your actual customers and readers to collect some ideas from them. Ultimately, you want to know what real people are interested in learning about to better meet their needs. It's a useful way to keep everyone on board. This step is still my learning curve: I am still working my way towards coming up with the best process. I do have some processes and tools to share but feel free to share more! Go through your spreadsheet and start working on those scripts. Keep the new format in mind: You need to be saying what you are showing. Let your team members work on their own scripts and do the voiceovers for their own chapters. Keeping more people involved will make your end product higher-quality. Adding some more visual content for course takers to download and refer to when then need. Branded downloadable PDFs are a great way to give your audience something to take home and get reminded of your brand on a regular basis. Notes: You can re-use some of those handy PDF downloads you are creating on your blog too! Embed them on your blog to generate more subscribers and leads. Here are a few plugins just for that. The beauty of this approach is that you can reuse as much content as you want. As someone who always adds lots of annotated screenshots to my articles, I always make sure I reuse those in my videos too, whenever I am describing a specific step. Those three are very easy to use and require no graphic design background. Both tools allow picture-in-picture capability to put the instructor's face right next to your podcast. It seems people stay with your instructional video longer if they see the instructor talking along. I tend to invite at least one or two experts to my courses to feature actual stories illustrating tactics I talk about. I am trying Blue Jeans to record interviews now. It also streams to Facebook Live, so you can first make a public show (and generate some leads through it), then edit the recording and re-use it in your course. Finally to prevent my students from being too bored, I break the routine with cool entertaining videos that list interesting stats, propose an action item or share a cool tool. It's a great way to add some diversity to the course flow. Animatron is my tool for that and it lets me put together short yet useful and engaging videos literally in minutes. I cannot recommend it enough really. For the lack of time, I haven’t tested too many platforms here. I tried Udemy (which is where I still host most of my courses) but their recent moved in dictating pricing model and limiting free courses have made me look elsewhere. By analyzing other options and their pricing, Uscreen seemed like a winner. For a monthly price, you retain full control over your course, how you choose to charge your students and how often you want to get in touch with them (you can schedule automatic email campaigns to keep them engaged). You can even create your own smartphone app to give your students an additional medium to access your course. Put your old effort to good use: You deserve that! Come up with more useful content on a related topic (and thus improve your own knowledge of the subject): Become a better expert! Offer your loyal customers something new and valuable: Give them a reason to love your business even more! The bottom line is this: It's hard. It takes time and effort. Don't start working on the course unless you are ready to invest both. But if you think you are ready, go for it!